We may not have heard the last of Princess Mia Thermopolis after all. It's hard to believe that it's been 16 years since The Princess Diaries first hit the big screen and introduced us to Queen Clarisse Renaldi (played by Julie Andrews). After all these years, the movie continues to be a favorite amongst Disney fans. In fact, those same supporters are still hoping for a third film in the franchise that was based on the best-selling young adult novels by Meg Cabot. In honor of the special anniversary this weekend, Entertainment Weekly chatted with the author for her thoughts on a third movie. As it turns out, moviegoers still have plenty of reason to hope. Despite the passing of Garry Marshall, Meg confirmed that there is interest in going forward "as a tribute" to the Hollywood director. "Who knows?" she explained. "[It] could happen, as we say." "I am not allowed to say," Meg continued when asked about potential plot lines. "I would love to sit and talk about [it], but I can't. I'm not allowed. But it's really more following the movie than the books, so if she—the last version I read, she definitely did not find out that she has a biracial younger sister … which I personally would've thought was hilarious, but that was not the direction they were going." 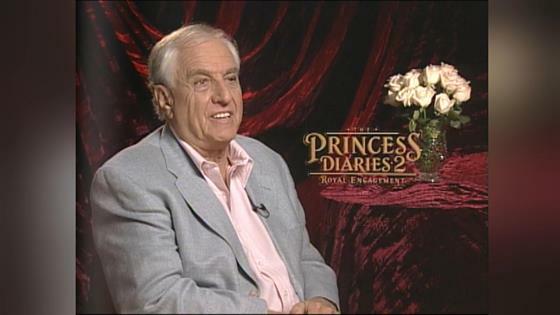 Before his death, Garry revealed to People that he was plotting to make a third installment with Anne Hathaway. In July of 2016, however, the director died of complications from pneumonia following a stroke at 81. Fast-forward to 2017 when Julie admitted that there still could be reason to hope for a third movie. "There's talk about it," she told BuzzFeed. "And [Anne's] very keen to do it. I would very willingly and happily do it." "I think we might do it in honor of him," Julie continued. "Annie had an idea that she wanted to pursue about it, and I'm all for it, so if she'd like to…"
Another star who would be open to participating is Mandy Moore. The This Is Us star was asked to envision a role for the third film. You may just like the way she thinks. "Maybe I would make some quick cameo. I would like to see this woman evolve," Mandy shared with Cosmopolitan. "If I'm going to be involved, I would be down for a cameo—maybe she could make amends with Mia and apologize for being a bully when she was younger. She was insecure, going through a difficult time in her life and [has now] reflected on why that wasn't okay." While we patiently wait, we'll be watching the first two movies again and again. And yes, mattress surfing may totally be included.